Living in a ski town, among all of the hustle and bustle that goes with the season and the sport, can be fun, but isn’t always what a family is looking for. Sometimes the escape, be it during the ski season or even during the Green Season, is just what the doctor ordered for a great lifestyle. That would be Lofty Mountain Grandeur. That escape is exactly what Mike Icorvaia had in mind when he blazed a trail on Bailey Hill, not too far from Griffis Sculpture Park, in Ashford. In 2009, as a hobby, Icorvaia decided that the land, his personal wooded playground, would be the perfect place for others to create memories of catching that first salamander, seeing that doe and her fawn, even casting a line into a pond. Over the last five years, the land has grown into a nicely developed place to have a cabin in the woods, but still be safe among others. The first development area, Bailey Hill, contains 12 five-acre lots, each with deeded rights to numerous nature trails and fishing ponds on the land, are completely sold out. The second area, Rainbow Ridge, has only recently opened up for new homes. Of the 19 lots in Rainbow Ridge, one is sold and homes are going up on a few others. Each home has a standard three bedrooms and three baths covering the 3,000 square-foot building design. Each building is a special place, according to Icorvaia. 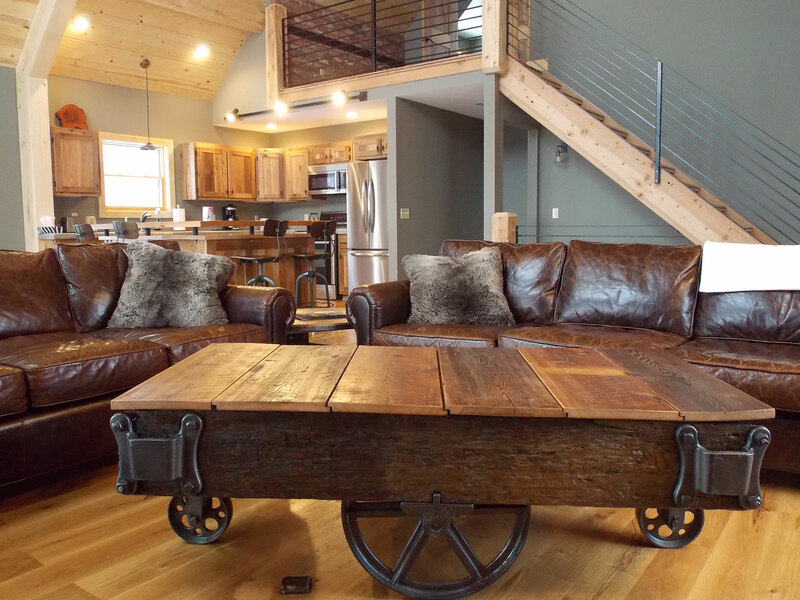 One such place has brick from a Buffalo-area building, wood from local barns and custom-built furniture to represent an early, turn of the 20th Century industrial feel, to include a Larkin hand cart transformed into a coffee table. 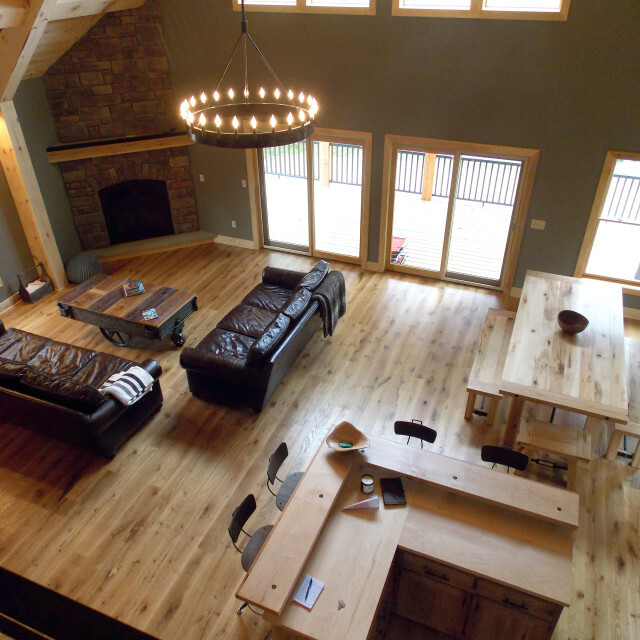 The wood is all locally cut and milled with each place having radiant heating. One of the things that Icorvaia emphasizes about the larger area is that the homes, while close to others, still carry that feel of being in the middle of the woods, all by themselves. Each one with spectacular views, to include one that has a small view of Lake Erie – from central Cattaraugus County. 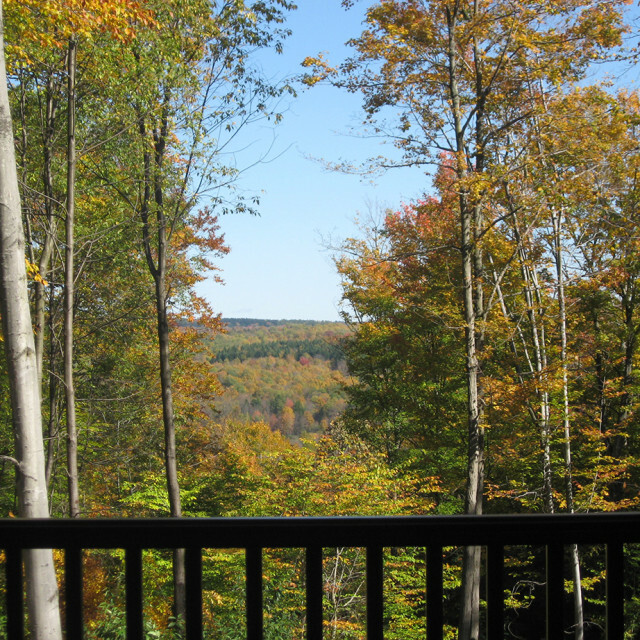 Lofty Mountain Grandeur is only 6.9 miles from Ellicottville. Homes range from $335,000 to $400,000. 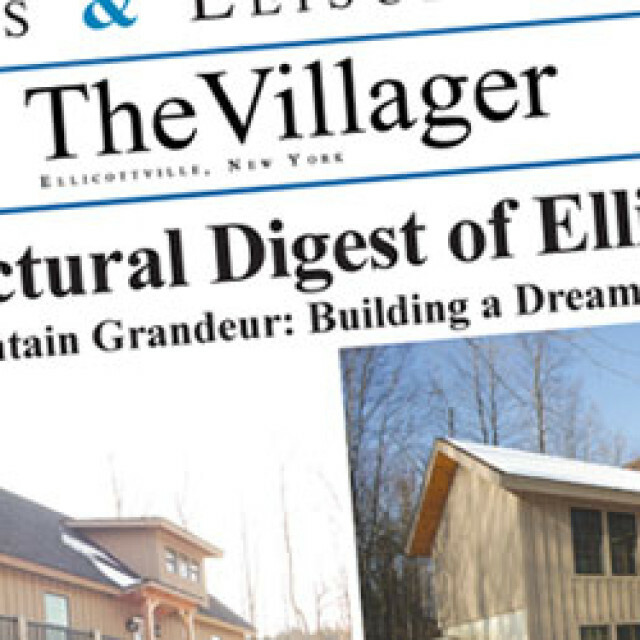 More information can be found on the development site, loftymountainhomes.com, or by calling (716)583-0535.